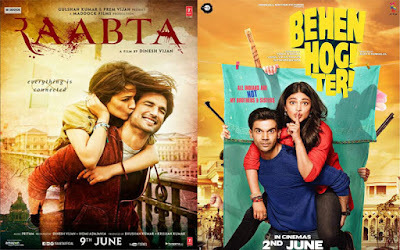 Raabta did not collect well on Indian Box Office and Collection Is Much Lower Than Expected and Become Low With The Collection Of 16.50 Cr Till Tuesday. Movie is disaster and Big Flop On Box Office and Producer Lose Huge Amount. 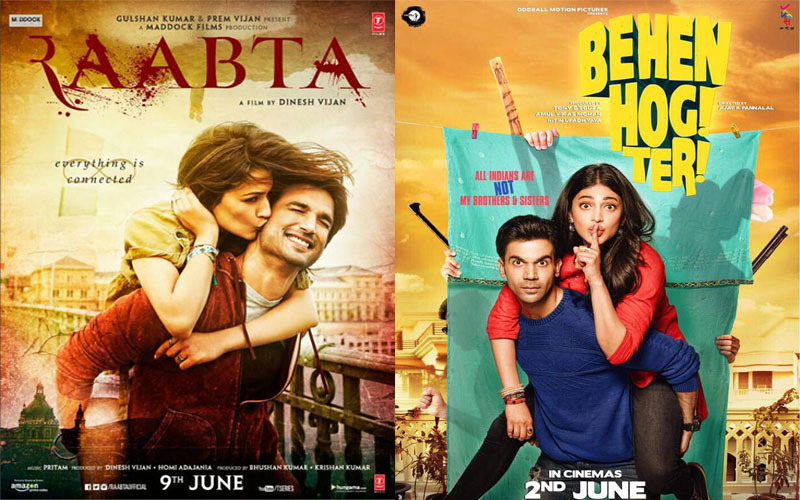 Behen Hogi Teri is also going to disaster way and did not collect well on Box Office. This Rajkumar Rao Starer became Flop and First Week Likely To Finish On 2 Cr.